Everyone has fun at their grandparent's house. 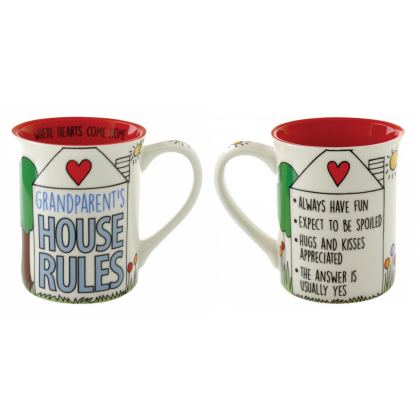 This great 16 oz stoneware mug is the perfect gift for a grandparent who will instantly recognise the sentiment in the words ! This Product is supplied in a branded giftbox and is dishwasher and microwave safe.